Leicester will be without forward Dom Barrow until Christmas, Tigers boss Richard Cockerill has confirmed. The 22-year-old joined from Newcastle Falcons in June, but is still recovering from a cruciate knee injury. "Dom arrived from Newcastle with an ACL injury," Cockerill told BBC Radio Leicester. "It will be Christmas time before he's back." However, forward Jordan Crane and fly-half Owen Williams could be fit for the start of the Premiership season. Crane, 29, is not currently taking part in the club's pre-season campaign following a minor operation on a knee problem, while 23-year-old Williams is still undergoing rehab after knee ligament surgery. 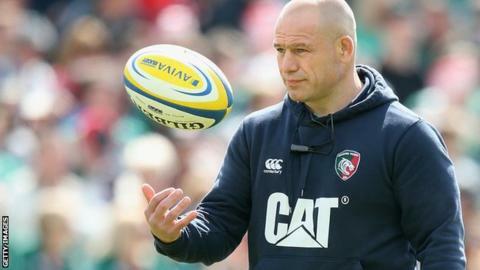 Leicester face London Irish in their opening game of the new campaign on Sunday, 18 October. Who is England's best attacker?